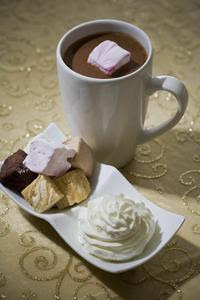 The hot chocolate looks deep and rich, and the marshmallows!! Want some!!! It turns out that cocoa is from Venezuela. From a chocolatier very near Maracay. Someone may bring me some. It had pepper and cinnamon. It was a great way to wake up each morning.